You don’t have to pay someone else a lot of money just to move your things. You can rent U-haul trucks in Anchorage and move everything yourself. While it might be a little bit more work, it’s also significantly cheaper than paying a moving company. There are plenty of ways to get your things moved, and you can also get your co-workers to help you so that you can avoid overpaying and still make sure you protect your belongings. If you’re going to rent a U-Haul, though, you’ll need some planning to make sure everything goes as smoothly as possible. Anytime you’re going to move, your co-workers can really help you save a lot of money. Having a moving party, and getting them all to come over and help you pack and load a truck. U-Haul trucks in Anchorage can be found in different sizes, so you can get a small truck if you only have a one-bedroom apartment. If you’ve got a big house and you need a lot of truck space, rent a larger truck and get more of your things in it. Whether you’re moving across town or across the country, there are several viable options for you as to how to get the job done. You can rent a U-Haul at almost any time, but if you’re on a tight schedule, you might want to reserve one a little while in advance. That way, you won’t get to the rental place on the day of your big move and realize that you can’t get the truck you need. Renting an Anchorage U-Haul Truck doesn’t have to be complicated or difficult. Make it easy on yourself by getting a moving truck reserved and also by making sure you’re all packed and ready to ship your belongings on moving day. With a great rental truck and the help of others, you can make your move a success. If you’re only moving across town, make sure the people who helped you load the truck follow you to your new place, so they can help you take all your belongings out of the truck and put them inside. You don’t want to be stuck trying to unload everything yourself. If you’re looking to take U-Haul trucks in Anchorage across the country, however, you might need to hire some people to help you unload everything when you get to your destination. That’s still a lot less costly than paying movers to pack up your things and take them to your new home. To find out more details about renting U-Haul trucks in Anchorage, call (907) 891-8008. 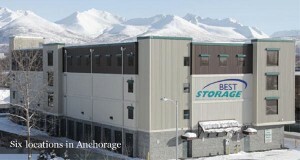 This entry was posted in Storage and tagged alaska uhaul, anchorage alaska uhaul by Beststorage. Bookmark the permalink.